Another one on the same lines as my arctic animals card. This time big cats - Lion, tiger, cheetah and snow leopard. Was fun to do but still seems weird not actually drawing any houses lol. 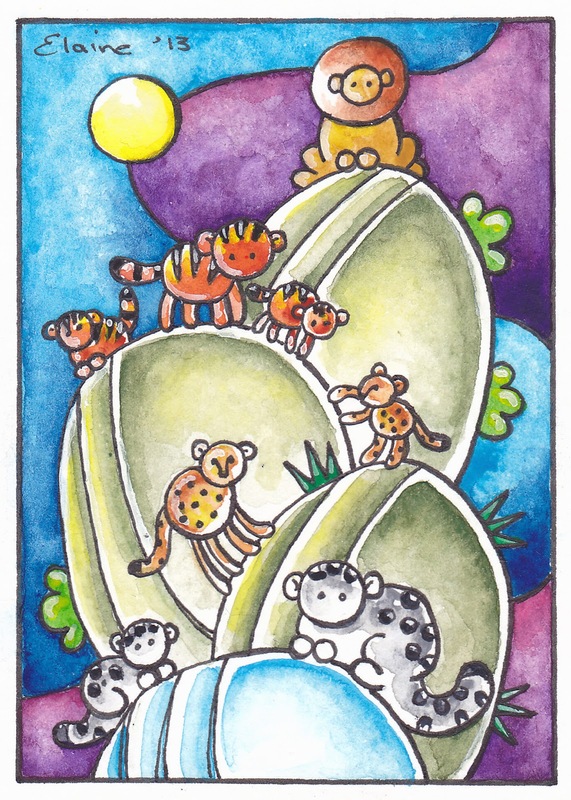 This is such a cute ACEO! The scene reminds me of that scene in the Lion King with Scar at the top and all the hyena underlings below.... Except this is far more colourful and cutesy! Just a random thought. Thank you all :) I'd never though of the lion king connection - but i see it now lol.